Companies testing autonomous vehicles in Pittsburgh will have to immediately report crashes resulting in any injuries as part of new guidelines announced Monday intended to boost public confidence in the testing after a deadly accident in Arizona last year. PITTSBURGH (AP) — Companies testing autonomous vehicles in Pittsburgh will have to immediately report crashes resulting in any injuries as part of new guidelines announced Monday intended to boost public confidence in the testing after a deadly accident in Arizona last year. Karina Ricks, director of the city’s Department of Mobility and Infrastructure, said the city was working on guidelines before the March 18 accident in Tempe when one of Uber’s autonomous test vehicles hit and killed a pedestrian as she crossed a dark road outside the lines of a crosswalk. “The Tempe incident raised the urgency for the guidelines,” Ricks said. The Pittsburgh guidelines were included in an executive order signed by Mayor Bill Peduto on Monday. “We don’t want that situation to happen again,” said Raj Rajkumar, professor and co-director of the General Motors-Carnegie Mellon Vehicular Information Technology Collaborative Research Lab. Another accident would cause “a social backlash,” he said, adding that he hopes guidelines such as those adopted by Pittsburgh and the testing companies will help alleviate public concerns. “This indicates that the city wants the technology to develop, to evolve, to measure, and they want to work with the companies and the university where the technology was born,” he said. 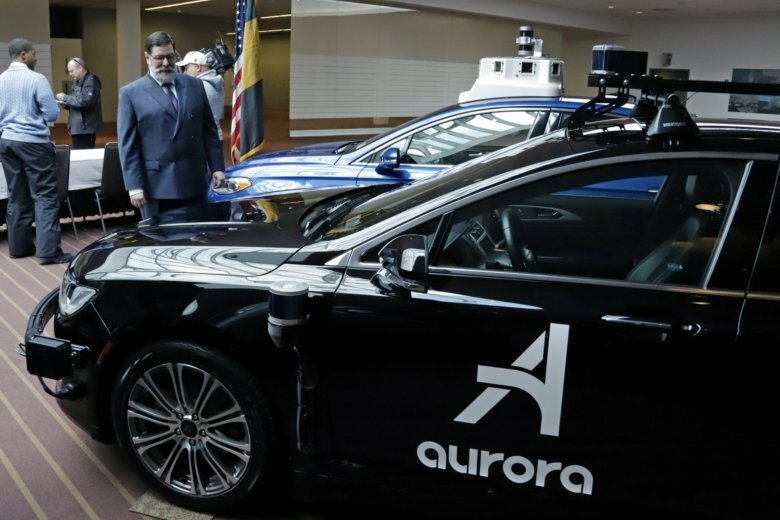 Representatives of the five entities testing autonomous vehicles in Pittsburgh — Aptiv, Argo AI, Aurora Innovation, Carnegie Mellon University, and Uber — expressed their support for Peduto’s measure. These five companies have 30 days to submit initial information, such as neighborhoods where they expect to conduct testing, hours, and safety and risk mitigation plans, Ricks said. Newcomers — the city expects more companies to consider Pittsburgh as a testing ground — must submit the information 10 days before the star of on-road testing. Under the guidelines, companies have three days to report crashes resulting in any damage. Peduto’s order also calls for companies to provide more information to the city than the state currently requires, such as requiring each tester to report total miles, even when in manual mode. The companies will have to submit reports twice a year to the city, which will then issue summary reports to the public, Ricks said. “We really want to find out is what you are doing. Let us understand how you are using our city streets,” she said. Bryant Walker Smith, a University of South Carolina law professor who studies self-driving vehicles, said Pittsburgh is taking a step in the right direction. The city, however, will not require testers to report every time the autonomous system is disengaged, which is a requirement in California. When the Pennsylvania Department of Transportation gave its permission in December for Uber to resume road testing of autonomous vehicles, it required the ride-sharing service to have at least one human backup driver — two if the company plans to go over 25 miles (40 kilometers) per hour— in every autonomous vehicle. Ricks said all autonomous vehicles road-tested in Pittsburgh now have two human backup drivers, regardless of speed limits. Although “completely driverless operations are many years away and there are many steps of growing pains to go through,” Rajkumar said, continued road-testing is crucial. Peduto said his executive order calls for a partnership built on trust, understanding of mission and shared values. The city wants to “work hand-in-hand with autonomous vehicle developers,” he said.